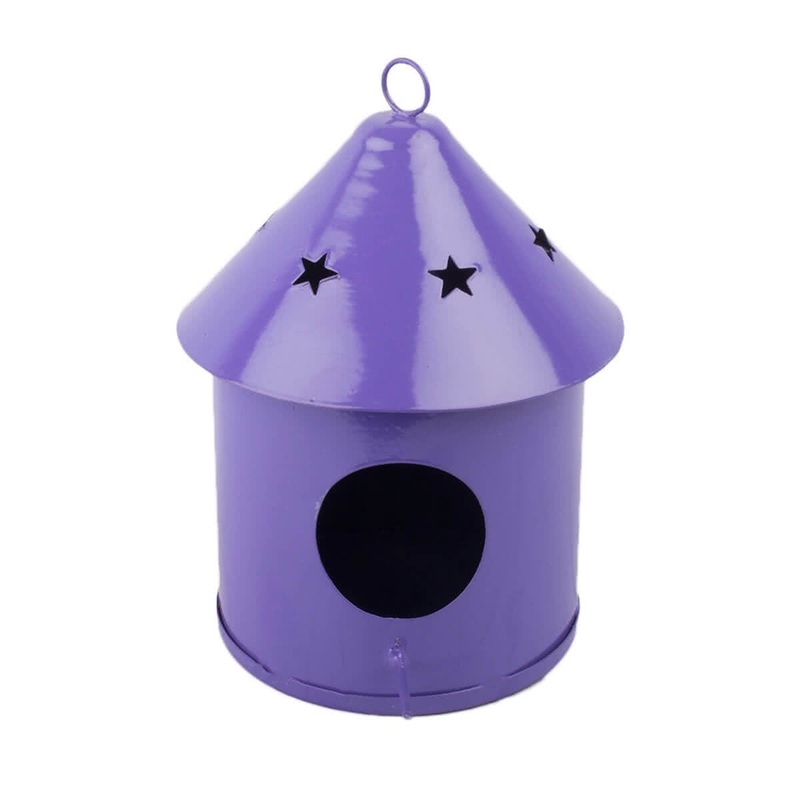 A garden looks all the more beautiful and attractive with cute additions like this. 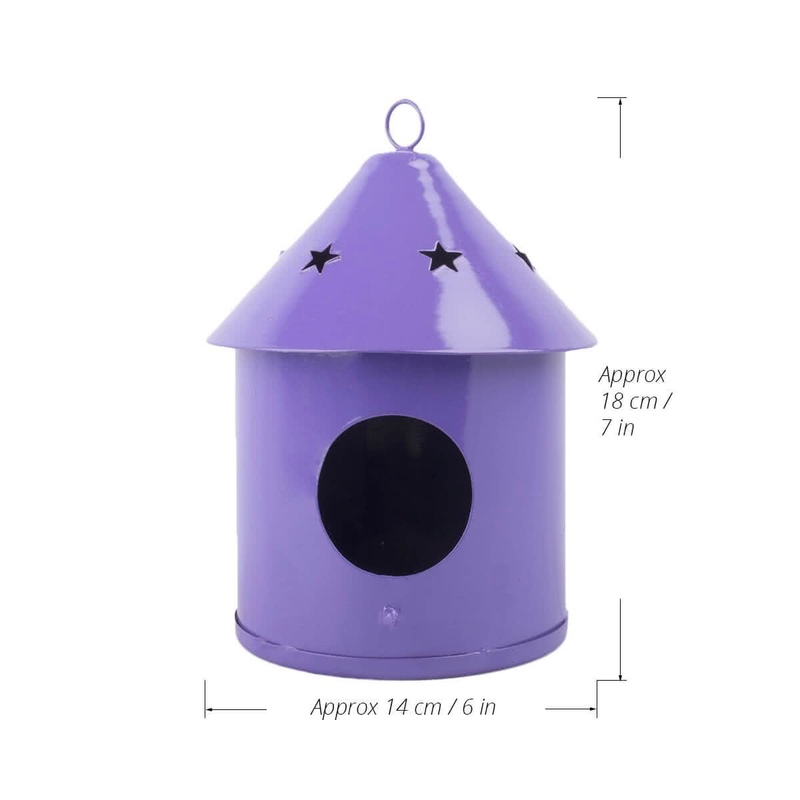 Made up of durable metal and engraved with a lovely design this Purple birdhouse is all set to multiply the beauty of your garden. 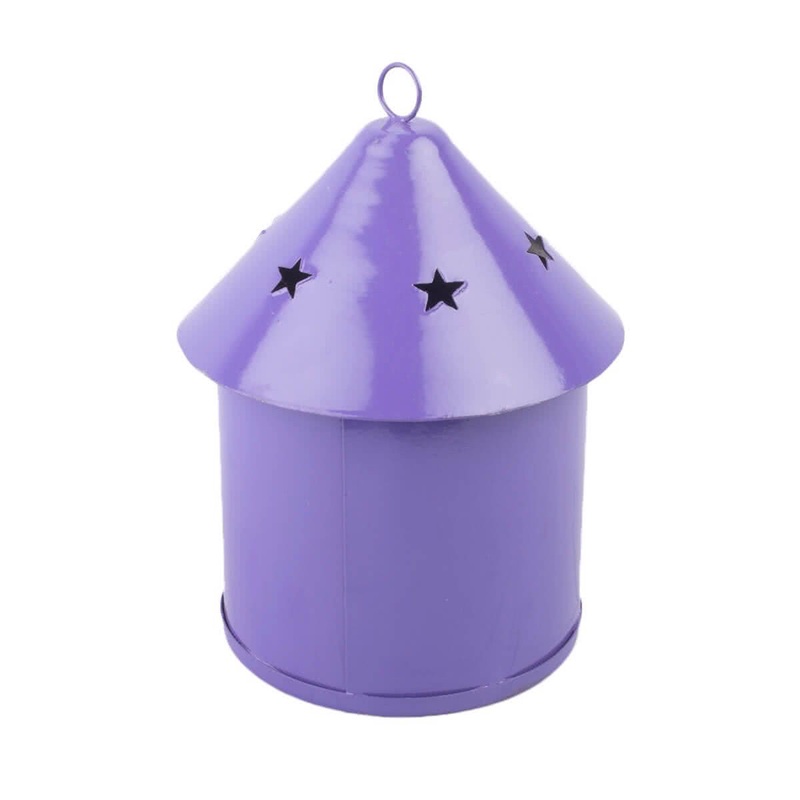 Finished with a hook and chain it can easily be hung both in the interiors and the exteriors.